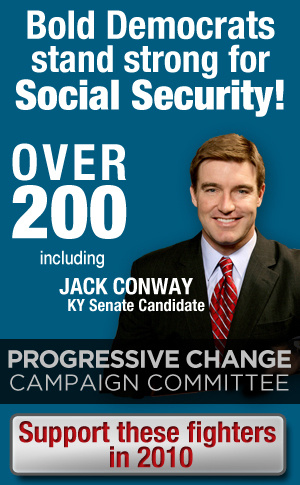 Stand with bold Democratic candidates for Social Security! Over 200 bold Democratic candidates and members of Congress are going on offense -- promising to protect Social Security from cuts, and taking the fight to the Republicans. Sign on the right to show you support for this type of bold "on offense" mentality from Democrats! After you sign on the right, we'll email you the full list.